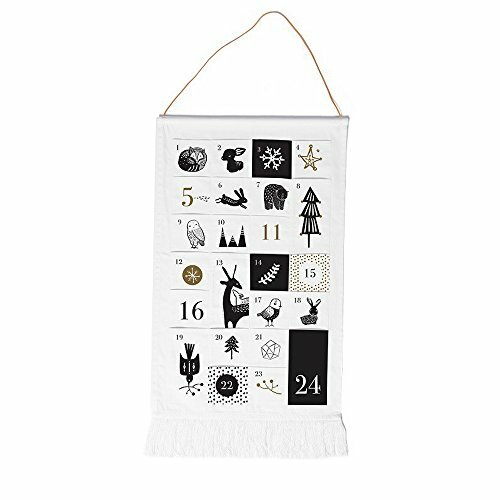 The new Wee Gallery Advent Calendar is our first but won't be the last! Sweet animals in our signature hand painted style screen-printed on to 100% organic cotton twill with a pocket for each of the 24 days leading up to Christmas. Packaged in a gorgeous keepsake bag that you will look forward to bringing out each year. Made in India using ethical manufacturing practices. Measures 36×20.5 inches. Sweet animals in our signature hand painted style screen-printed on to 100% organic cotton twill with a pocket for each of the 24 days leading up to Christmas. If you have any questions about this product by Wee Gallery, contact us by completing and submitting the form below. If you are looking for a specif part number, please include it with your message.